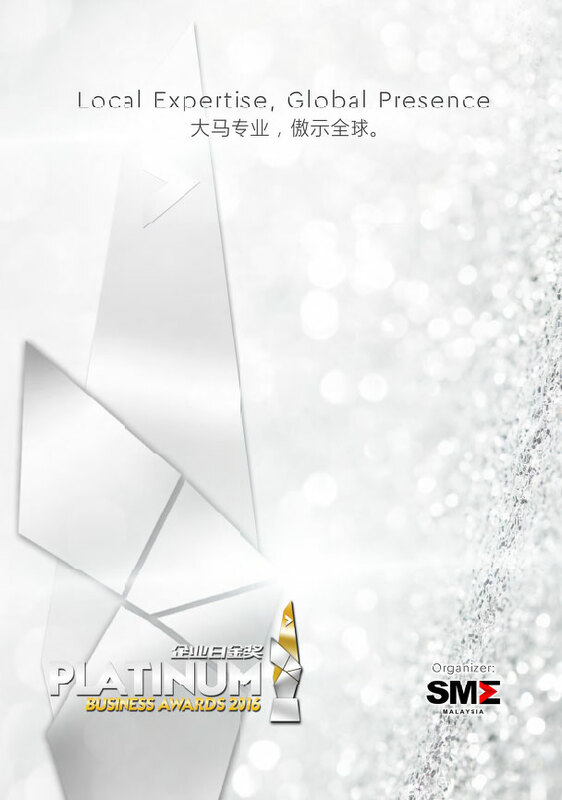 Closing date for our Platinum Business Award is on August 15, 2016. Please submit your nomination form to our secretariat as soon as possible. For those of you who might require further assistance/clarification, please call Ms Cynthia at 03-8024 5787 or 019-365 9681. Alternatively, you may log on to our Facebook page - "Platinum Business Award" or www.smeam.org for more details. I strongly urge Malaysian enterprises to leverage on this platform to enhance your branding, market visibility and networking. As a winner, among other benefits, you get to participate in our bi-monthly SME Club activities - a leadership and learning forum at Zero cost. I look forward to your participation and celebrating your joy and success as a proud recipient of this prestigious award on October 28th, 2016.